The ad watchdog has banned a TV ad for Smirnoff, the vodka brand owned by Diageo, for implying alcohol contributes to the success of a social occasion. 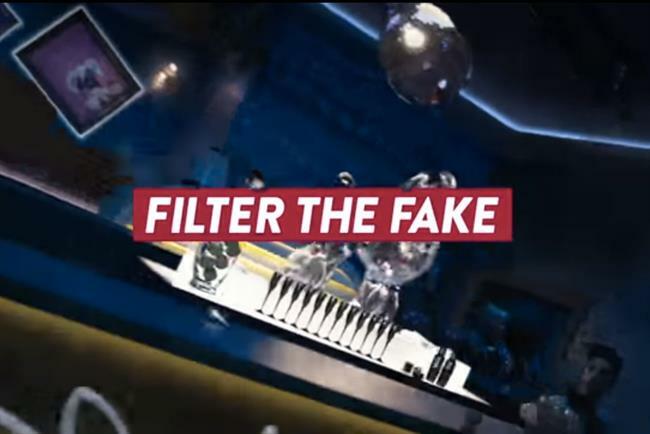 The spot, called "filter the unnecessary" was created by 72andSunny and showed a person enter a bar, which tilted when they ordered a drink, while text on the screen read, "Filter the fake. Keep the good stuff." When the bartender poured the vodka and mixer into a glass music began to play. The customers began to smile, and text on the screen read, "Filter the unnecessary. Keep the good stuff." Diageo refuted claims by the ASA that the ad implied alcohol is needed for a good night in a bar. The company said the ad showed a move from a pretentious bar scene. The ASA said: "We considered the ad's presentation implied that before the visitor asked for an alcoholic drink, the bar was cold and uninviting and that once his drink had been ordered, the bar changed and became livelier and more fun. "We considered the contrast between the two implied it was the presence of the alcohol that was the pivotal point in the bar's transformation." Julie Bramham, the marketing director at Smirnoff, said the company will be appealing the decision and is "deeply disappointed" with the ASA’s adjudication. She said: "We believe the advert clearly showed two scenarios that were separated by a physical change of the bar symbolising the ‘filtering’ of unnecessary pretentiousness, and not by the presence of alcohol. "Pre-approval was granted by Clearcast and we will await the decision of the ASA’s appeal process."